However, many options are available at our Westminster, and Winter Park office if you’re looking for a cost-effective and more discreet way to straighten your teeth. 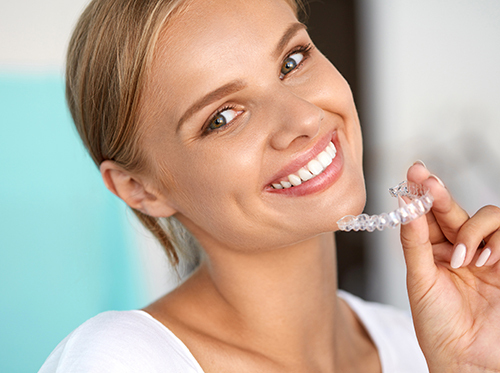 Self-ligating braces are similar to traditional metal braces, but no elastics (ligatures) are required on the bracket because they have built-in clips to hold the wire against your teeth. People will perceive you’re wearing them, but they don’t need as many adjustments from Dr. Thomas Chubb, so you’ll require fewer appointments and undergo a shorter treatment time. It’s only natural to have questions before you embark on a course of braces treatment. Speak with Dr. Thomas Chubb or any of our staff members at our Westminster, and Winter Park office about your goals, budget, and timeframe, and we’ll help you find the right fit!